Just about every slot machine contains some type of wild symbol. In fruit machines, the classic “wild cherry” is the wild. 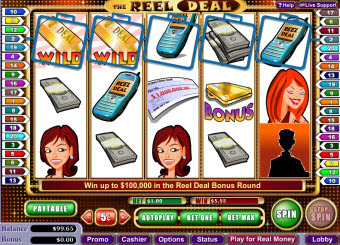 All video slots contain a wild symbol, usually being the main icon of the slots theme. For example, a slot machine with an old west theme might have a sheriff’s badge or cowboy as the wild symbol. Wild symbols are not restrictive. Whether you play from Australia, Europe or the United States – in a land-based casino, a downloadable online casino or an instant-play Mac casino – any slot machine you come across is 99.9% likely to carry a wild symbol. Wild symbols have the special ability to take the place of any other symbol on the reels that would complete a winning combination. If a fruit machine pays 5x for lining up 3 bananas, and you land one cherry plus two bananas, you get paid as if you’d hit all three bananas. On a video slot where 4 fire hoses pays 10x, you could earn a much higher prize for lining up those 4 fire hoses plus a wild symbol; the same as hitting 5 fire hoses, worth perhaps a 20x payout. Best of all, wilds always take the place of the highest paying symbol. Let’s say you’re playing a 5-reel king-themed online slot, where 3 crowns would pay 5x your wager, and 3 royal scepters would pay 3x you wager. You line up 2 crowns and 2 royal scepters on the same pay-line, along with one wild symbol. The wild instantly becomes the third crown, paying 5x your wager. The wild will not also become the royal scepter, since only one winning combination can be achieved per pay-line, but it will not offer the lower payout either. There is only one symbol on the reels that a wild symbol will not replace, and that is the “Scatter” symbol. A scatter is a special symbol that is aptly named because they do not have to appear on a single pay-line to initiate a win. So long as 3 or more of these symbols are scattered anywhere on the reels, it will trigger whatever the scatters do for that slot machine (usually free spins). Unfortunately, the wild symbol cannot take the place of a scatter. Another major benefit of wild symbols on slot machines is their ability to proffer multiplied payouts. Not every land-based or online slot machine pays higher for achieving a winning combination with a wild symbol involved, so be sure to check the pay table before you start. The most common multiplier would be 2x payouts for any winning combination with a wild symbol. That means you get paid double the normal amount. For example, you hit 2 beach ball symbols and one wild. If 3 beach balls normally pay 3x, you would win 6x your wager because of the slots wild symbol. 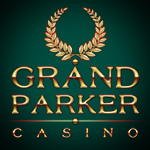 If you enjoy playing live and/or online slots, make sure you’re playing a slot machine with a wild symbol. Video slots tend to have the best pay tables when it comes to wild symbols. Always check the pay table first to ensure you’re getting paid double when a wild symbol makes up your winning combinations.